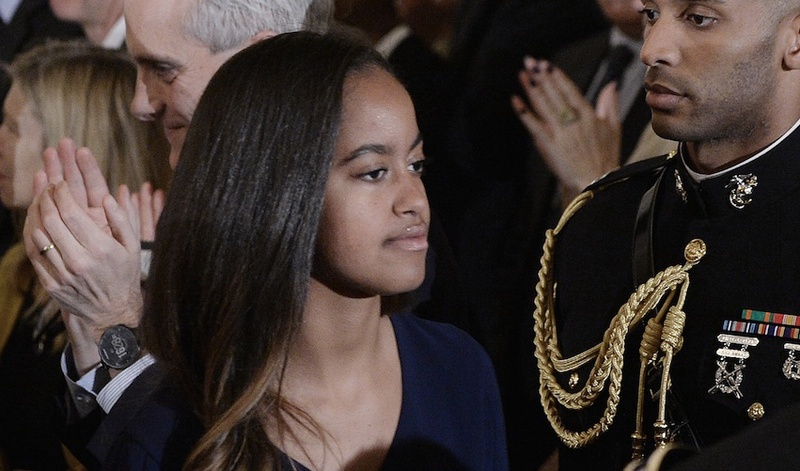 Never one to shy away from opportunities to advance her skill-set, Malia Obama is getting the most out of life before Harvard University eats up all her time. As in, she’ll be interning for the biggest producer in Hollywood! Oh, SNAP. That’s right, THR confirmed that Malia Obama is interning with Harvey Weinstein. You’ve probably noticed that Harvey Weinstein, along with his brother Bob, are listed as the producers on the credits of like…every blockbuster movie. So it’s kind of a big deal! via giphyAnd this will be a great follow-up to her previous internship, which was with Lena Dunham on Girls (jealous, much?). Now if you’re wondering what exactly Malia will be doing for The Weinstein Company, word is that she’ll be “in the marketing or development department” — but we don’t know any more deets yet. Hopefully when the internship kicks off in February, we’ll get to hear how it’s going (Malia, can you pencil us in for weekly catch ups? Thanx). And until then, we hope that the Obama’s transition out of the White House goes smoothly. It must be a hugely emotional week for them, so it’s a good thing that their family vacation in Palm Springs is coming up. Much needed R&R. via giphyKeep inspiring us with your #ladyboss moves, Malia! And remember to keep us in the loop.